Check out what’s happening this month with the UDCDA Housing Department! 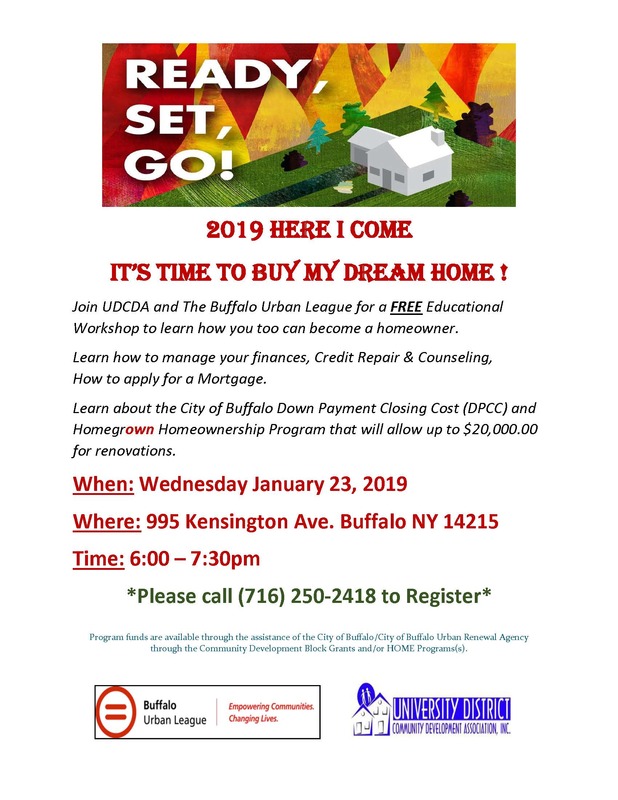 Join UDCDA and the Buffalo Urban League for a FREE Educational Workshop to learn how to become first time homebuyer. 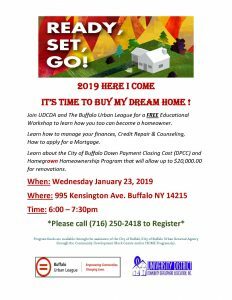 Wednesday January 23, 2019 at 995 Kensington Avenue, Buffalo, NY 14215 from 6:00pm to 7:30pm. To register, call (716) 250-2418. University District Community Development (UDCDA) is proud to announce that we have helped over twenty families this past year with Weatherization (Energy Efficiency) assistance with funding up to $5,000.00 per home. Qualifying homeowners were eligible to receive a FREE Energy Audit, Furnace, Hot Water Tank/ or Boiler, Insulation and Air Sealing. 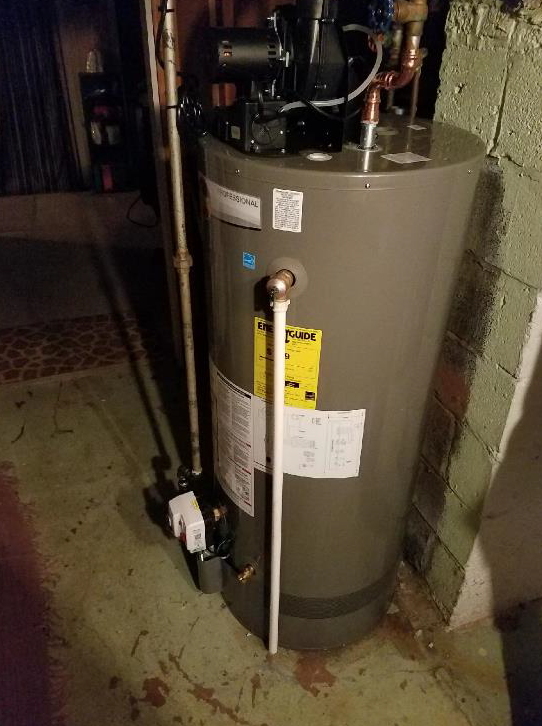 Funding is still available, don’t delay call today and learn how you too can receive a new hot water tank and /or furnace. “I can’t thank the ladies at Gloria Parks enough for the proficient service they gave me when I needed it most. My furnace kept going in and out and I wasn’t sure what to do. I called my councilman and they told me to call UDCDA. I did and spoke with Gloria Bryant who told me they have a grant that could help me. She sent me the information. I then met with another lady who did my application. She said she would expedite my application before my furnace went completely out. 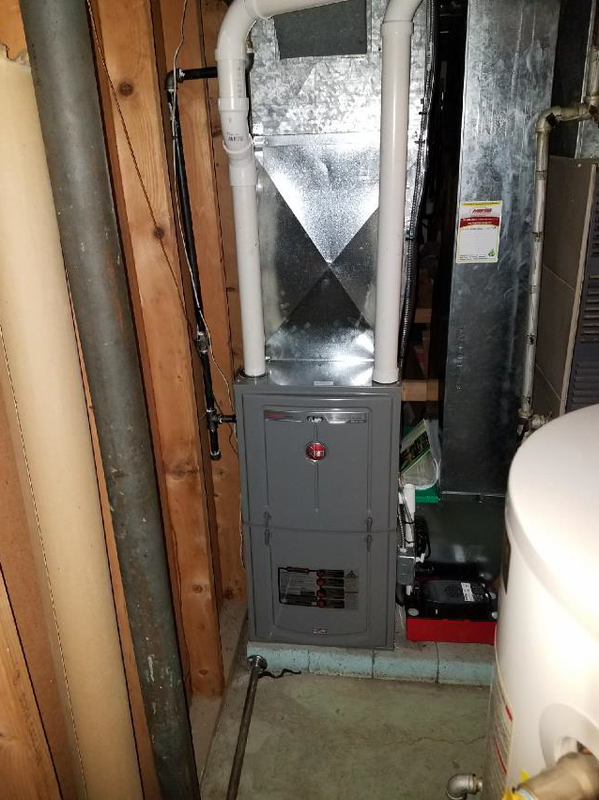 I had a new furnace and insulation within 3 weeks. I’m so thankful. I didn’t have money to pay for a new furnace because I’m a senior citizen and I just get my SSD. For more information about the Weatherization Assistance Program and other programs administered by the UDCDA contact the Housing Department at (716) 832-1010.